Hire Embedded/IoT system developers on hourly or full time basis to create Hi-End IoT applications and systems that enhances business efficiency for smarter living. Hire IoT programmers from Let’s Nurture who have potential to make create innovations leveraging trending and cutting-edge technologies. Hire IoT engineers from Let’s Nurture who are having unmatched experience in delivering custom IoT app development, IoT Implementation & integration along with IoT Gateway solutions to our clients across the world.Our IoT programming team is expert in Arduino and Raspberry pi based connected devices too. Along with the Embedded system development, we do provide IoT based services using different languages like Python, Java, C/C++. We also provide flexibility to hire dedicated Python developers for different requirements ranging from IoT system development to Web services, maintenance and support. We are a top offshore IoT app development company in India, having offices in USA, Canada, UK, Singapore and Australia. We aim to give right IoT consultation services to hire IoT programmers having experience of Raspberry Pi development, Arduino development and other embedded system development. Our IoT experts provide strategic IoT consultation to give best-in-class architectural design for all IoT application development projects. Our flexible engagement models compliment and serve the purpose perfectly. Let’s Nurture also offers staff augmentation services which allows our clients much needed flexibility to hire dedicated IoT developers with full control over the IoT development project. Our flexible engagement models allow us to communicate efficiently with our clients and deliver the end-to-end IoT web and mobile app solutions in the best way possible using Arduino and Raspberry Pi hardwares. Onsite staffing services for dedicated IoT developers to clients and companies within the same geographical border to fill gaps in the development cycle by frequent onsite visits or full-time presence at your place. We offer staffing services for dedicated IoT programmers in countries like US, Canada, India, Singapore, and the Middle East for regular review meetings, system deployment or ongoing IT project development. Hire and employ IoT developers to bring them at our offshore development center (ODC). We have a client-oriented process in which our project managers will keep you in loop in all communication channels with timely reporting. From strategy to maintenance, Let’s Nurture will create a custom IoT dashboard or IoT environment along side with data management and analysis. We at Let’s Nurture, can help you to develop IoT sensors or can help you to integrate different sensors in existing systems. Our IoT developers have years of experience in IoT based healthcare and fitness app development like Google Fit and Fitbit wearables. Your assets are important to you. We help diverse businesses with custom asset tracking solutions leveraging BLE/ Beacons devices. Our AI engineer and IoT developers have capabilities to offer smart retail solutions like Smart Mirror system leveraging Augmented Reality technology. Car tracking, Vehicle Diagnosis and Predictive maintenance are the use cases of IoT Based Automotive Solutions and Let’s Nurture have proficiency in all of these domains. Our IoT programmers can help in building home and office automation solutions making users able to manage, access and control their gadgets or home appliances from anywhere. Breadboards are great for prototyping circuits, but you will probably want to make a project more permanent. Our IoT engineers are experts in PCB design & implementation. Expensive mistakes occur when inventory is not managed properly. Hire IoT programmers to eliminate this time-wasting error with smart inventory and warehouse solutions. We help agribusinesses reduce costs and expand productivity by Smart farming solutions to monitor and manage Temperature, Humidity, Soil Moisture, Light Intensity, etc. for plants. Our embedded system engineers design solutions for Predictive Maintenance, Real time data analysis and maintenance, Auto Software upgradation. Let’s Nurture can create custom Arduino based Health Monitor system and store the health data on cloud server which can help you to monitor/ track health and fitness data on regular basis. Why choose Let’s Nurture to Hire Dedicated IoT Developers? We have delivered excellence through our top-notch IoT platform development services in many industry domains. 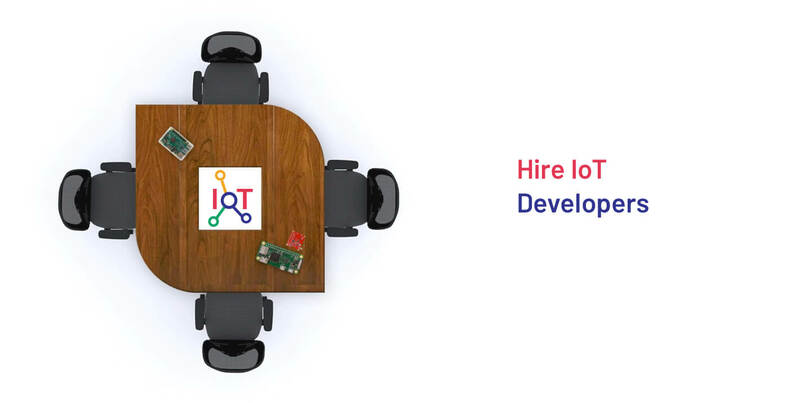 Hire IoT developers from Let’s Nurture who are well versed in Arduino, Raspberry Pi, C/C++, Cloud, PCB designs that helps them to deliver complex, multi-technology and multi-disciplinary projects. Our IoT development team is creative in its approach, with in-depth knowledge in working with the latest technologies like Python, Java, C/C++ while keeping themselves updated to deliver custom dashboard UI and mobile application UI. Get expert IoT consultation to visualize from our IoT programmers at Let's Nurture, just to make sure that we are delivering correct IoT solutions. We build IoT systems which are tailor-made and business driven. Customer satisfaction and requirement understanding are much needed to get started with IoT developer. Develop your website application quicker with custom team with our flexible engagement models. We adhere to strict NC/ NDAs for all client projects. Our systems are enabled with advanced security parameters and live CCTV surveillance to secure information of your IoT development project. We have well-known platforms to get up-to-date reports and updates about your projects on daily, weekly, biweekly or monthly basis with shared account on Zoho, JIRA, Slack, emails, Skype and UberConference for dedicated AngularJS developers. We conduct extensive QA rounds to address all aspects of system performance. Our Quality Analysis experts will do end-to-end testing to ensure a secure, robust, intuitive and user friendly application. Once the project is delivered, we provide free technical support up to 3 months. We are available on all the communication forums for staying connected through emails and Skype. We provide end-to-end IoT development services regarding consulting, web hosting, cloud services, strategic development and UI/UX design, dashboard testing, delivery and deployment with maintenance. Is a cloud server compulsory for IoT solution deployment? Cloud server and IoT solutions are not necessarily correlated, but cloud computing has begun to significantly change the way businesses are running and has helped connect the world into one expansive marketplace. What type of ongoing costs do I need to be aware of while deploying an IoT based business solution? While deploying IoT business solution there are different ongoing costs included like Hardware cost, Server cost, Platform maintenance cost. We will let you know in advance about the incurring expenses. Do you provide hardware support services also? Yes, we provide many hardware support services like hardware designing, hardware upgrades and maintenance along with cloud based services. How long does it take to develop an IoT solution? The timeline of developing an IoT system and implementation is completely dependent on the nature of the solutions you may want to provide. It also depends on the complexity of custom PCB designs and testing. What role does the network play in the Internet of Everything? The network plays a crucial role while talking about IoT. It has to provide a scalable, stable, manageable, reliable infrastructure that can support millions of connected devices. How IoT Development can benefit my business? We highly value our customer’s privacy and security to make sure we use trusted platform module (TPM) and trusted execution environment (TEE) to ensure hardware security in an IoT gateway. What can be done if an IoT gateway loses connection to the cloud? There are several ways to protect data if IoT gateway loses connection. Like if the connectivity is lost, data can be temporarily stored in hardware’s memory or storage. Local network is another way to get restore all the data, if we gateway loses connection to the cloud then it’ll be stored in local network until cloud connection comes back.